and get a site introduction from a local pilot. 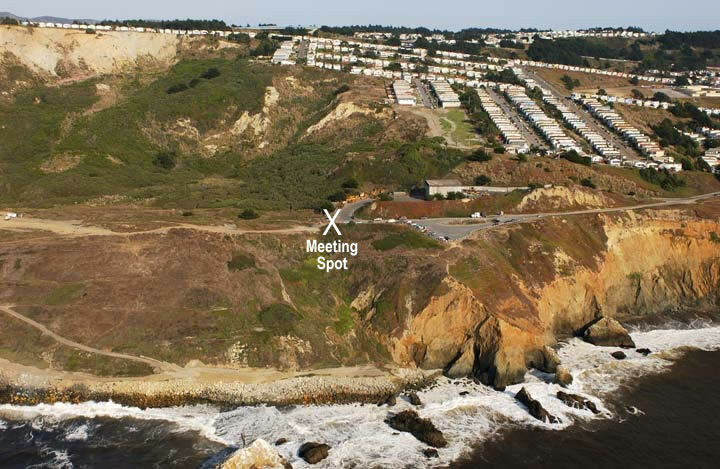 From 280 heading North or South: Take the Hwy 1 South Exit to Pacifica. Exit at the bottom of the hill at the Manor Drive Exit. Make a Hard Right at the end of the offramp. On your left you will pass a McDonalds and you will be on Palmetto Ave. Continue North on Palmetto about 1/2 mile up and turn left on Westline Dr. Continue about 500 Yds. Staying to left at each opportunity. You will end up in a large parking area along the cliffs. If this gate at the far end of the parking area is open, please do not drive onto the dirt area! Although it is not noted, only county or persons with special permissions are permitted within the gated/dirt area. I have a link to an aerial view of the Dumps Area. 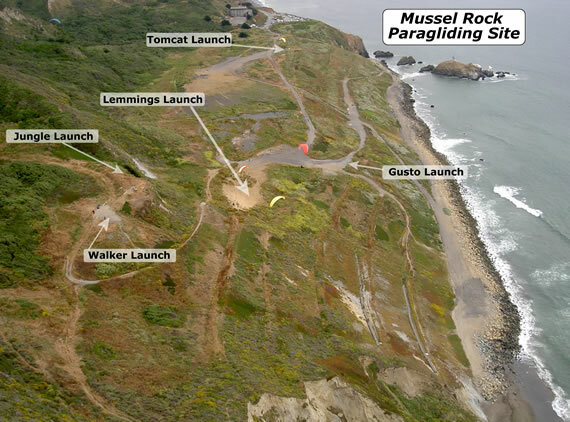 Here is a picture from the air of Walker and Lemmings Launches at the Dumps: And better yet, if you are heading this way, the below picture shows the Parking Lot area of the Dumps.